Call Center Insurance Sales Tips | 8x8, Inc.
Insurance call center agents are much more successful at sales if they offer targeted services and personalize their pitches to each individual prospect. By understanding your customer better, it'll be much easier to make a convincing case that your company is the best for them. Here are call center insurance sales tips and tools to help agents connect better with clients. Use warm prospecting techniques: Find out whatever you reasonably can about your prospects before getting on the phone with them. Create a point of connection between you and your client by pointing out something you both have in common. Personalize your pitch: Take the time to develop a unique appeal. Find pain points: What does your individual client need? What problems are they trying to solve? Find out and tailor your appeal to meet what their needs are right now. Listen: Take the time to listen to your prospect and don't offer an irrelevant insurance product. Customers can tell if they're being offered something that isn't a good fit for their needs. Take notes: Make your own record for each client, so you remember any conversations and discussions you've had. Include them in a database such as a customer relationship management (CRM) software system so you have easy access to it later. Imagine how embarrassing it would be to forget having a conversation with your prospect — if they call you back, they'll expect you to remember. Have rebuttals ready: Sometimes callers can catch you off guard and you'll forget what to say. Have rebuttals ready in your script so you'll know how to respond to common questions and concerns. Stay on script: As much as possible, anticipate what your customers will say and how the call will go. Stay on script. Memorizing and practicing your script can help you stay on task and avoid making a mistake. Be confident: Project confidence (but not arrogance) in your voice when you're on the phone. You want your client to believe that you really are knowledgeable and able to help them. Ask for the sale: Don't forget to close the sale or ask the prospect to act. You might be surprised how many sales teams lose prospective clients because they never actually asked for the sale. Offer to have an agent call back or schedule a meeting while on the call. Convey warmth: Use a warm, friendly tone while on the phone. If it helps, smile even though your customer can't see you — you'll sound friendlier on the phone. Of course, feel free to experiment a little with these tips for insurance sales to find out what works best for your clients. In the past, phone service with advanced call features was a service only the largest companies with high call volumes had access to. Call centers were not an economical option for every business and had limited features. Phone service minutes were also very expensive. 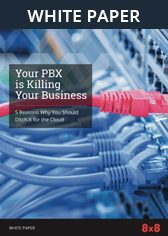 That all changed when Voice over Internet Protocol (VoIP) became an option for both small to mid-sized businesses (SMBs) and larger enterprises. VoIP phone service helps your insurance company present a more professional image to prospects, provide better service and save money. One of our best insurance sales tips is to optimize call center technology for today's consumers. With the right contact center technology, your insurance company can stay on top of incoming calls and ensure that sales calls go to the right contact center agents. You can, for instance, route certain calls to more experienced agents or specialists who focus on certain areas by using ring groups. Even if your insurance business is small, you can still set up a ring group and have incoming calls go to all phones or just a select group of phones in your office. Insurance companies have enough on their plate. Choose a world class SaaS technology solution and focus on what's important: your clients. Call 1-866-879-8647 or fill out an online form to request a no-obligation quote from an 8x8 product specialist. Title option 2: How do I find call center insurance sales tips?